Welcome to the first edition of my weekly newsletter. The purpose of our newsletter is to keep you informed about what I am up to both in Springfield and the District. This newsletter will have everything from legislation working its way through Springfield, to events around the 117th District that I attended or plan on attending. You can stay on top of these newsletters by signing up for our email list; which can be found on my official website www.repseverin.com. I also plan on having a weekly video to go along with this newsletter, which can be found at the bottom of this page. A highlight this week was getting a chance to watch the Governor give his State of the State address on Wednesday. The Governor had a positive and upbeat tone to his speech, highlighting some of the success we’ve seen in education funding and ethics reform. At the same time he was up front and honest about the many challenges we have, most notably being state budget. On Thursday night, Attorney General Madigan submitted a motion to prevent state workers from being paid until the legislature and governor pass a budget. This is a political stunt by the Attorney General, attempting to create a crisis. It is not fair that those state employees, who perform vital services to keep this state running, should be punished because the legislature has failed to do its job. My office in Marion is staffed Monday through Friday, from 8:30 am to 4:30 pm. 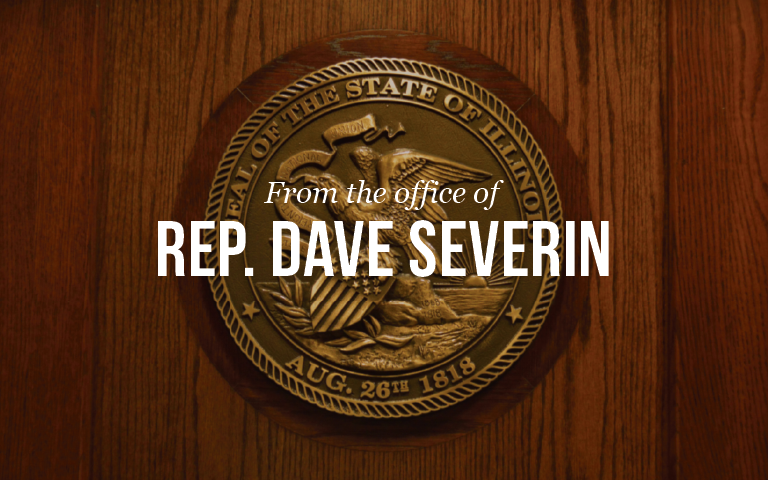 You can email me directly at severin@ilhousegop.org or send me a message through the Contact Form on my website at www.repseverin.com. My staff and I are here to serve you! So please feel free to share your opinions with us.